The family of Roman Totenberg, the violinist and teacher who died in 2012, has donated a collection of his papers (.PDF file) to the Library of Congress. The library offered a concert on Friday evening, in the Coolidge Auditorium and in the presence of Totenberg's daughters, to mark the occasion. It featured chamber music performed by cellist Jan Vogler and his wife, violinist Mira Wang -- the latter a one-time student of Totenberg's with a close connection to the family -- in collaboration with Finnish pianist Antti Siirala. Vogler, who was the principal cellist of the Staatskapelle Dresden for over a decade and has some good recordings to his name, is also the director of the Dresden Music Festival. His tone on the instrument has a plangent quality, with plenty of volume at the top but an occasionally dry, dusty quality on the low string, and occasional infelicities of intonation. A Beethoven cello sonata (D major, op. 102/2) started off a little bland in the first movement, where more brio was called for, but Vogler's resonant A string soared in the slow movement, which had a somber, hymn-like quality. 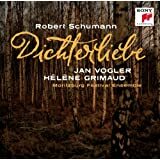 The final movement's fugato was chipper, and Siirala's four-square touch matched nicely with Vogler's crisp articulation, creating a chipper and fun quality, not at all dour. The discovery of the evening was John Harbison's Fantasy-Duo for violin and piano, a beautifully constructed and endlessly diverting piece commissioned by the library's McKim Fund in the 1980s. The single-movement arch form begins with a series of vignettes of pleasing variety: a sort of ground-bass of short chords of pungent dissonance, bebop flurries of notes in the violin, a music-box section of treble sounds -- in a hodgepodge pattern the composer labeled a "collage" in his program note. The other side of Harbison's career is as a jazz pianist, and an infectious delight in impelling rhythm ran through the piece in the most alluring way, never feeling like direct like direct quotation, which would be too facile, but suggesting music that stood on its own. Wang produced a lovely, throaty tone, with a fluid left hand, although the sound on the E string and in the double-stop section could have used a little more polishing. After intermission, all three musicians united for Tchaikovsky's extended Piano Trio in A minor, op. 50, more proof that this composer, when not constrained by ballet choreography or an opera libretto, simply did not know when to stop. Siirala, whose style is not distinguished by its subtlety, excelled at the bang-bang bombast of the keyboard part, overpowering the string players at times. With each movement, however, it was hard to shake the impression that Tchaikovsky could have cut about a third of the score and done no harm while tightening the piece considerably. In particular, it is hard to understand why he went on quite so long in the second half of the work, squeezing variation after variation out of his bloodless stone of a theme. The concert series at the Library of Congress comes to the end of the year this Thursday (December 18), with the Stradivari anniversary concert. The St. Lawrence Quartet will be joined by violist Hsin-Yun Huang to play one of Mozart's sublime string quintets, on the Library's Strads.